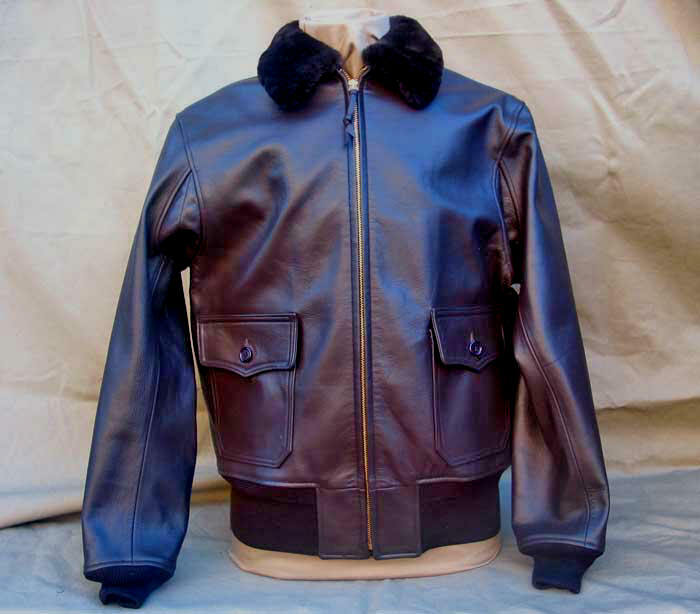 Our flawless reproduction of the late World War II / early Korean War G-1 Flight Jacket. 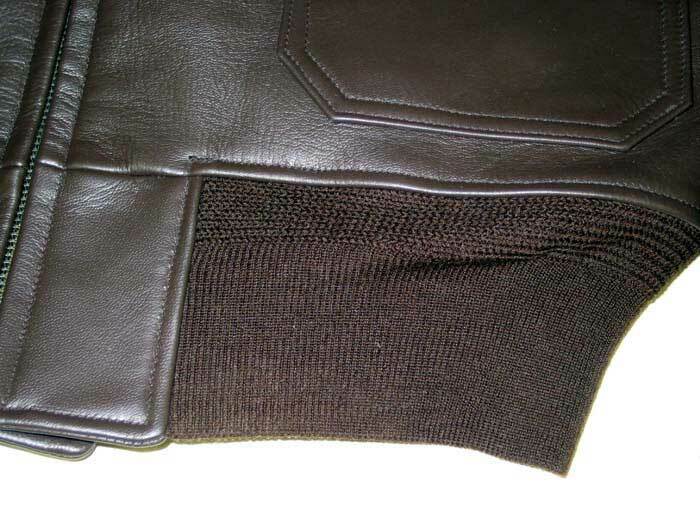 Thick, tightly-grained, supple Seal Brown Goatskin, incredibly strong yet as pliable as butter right out of the box. 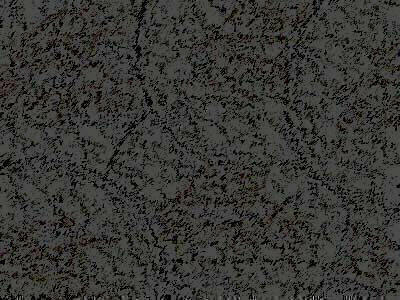 Customers worship famous LOST WORLDS Goatskin: it has it all, and more. Wear it in any weather, the wetter the better. 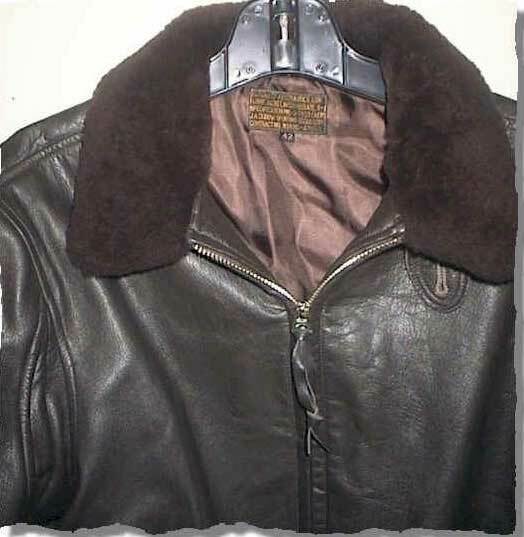 (If you buy a so-called "authentic" flight or any so-called "rugged" leather jacket that doesn't thrive in the rain, that spots, stains, runs, mottles -- you've been had.) Genuine pure Rayon Satin Lining. Single-ply bidirectional 100% Wool Waistband with matching double-ply tube Cuffs. Genuine Lamb Shearling Mouton Collar (which after years of use begins to fade to Golden Brown -- we don't antique our materials for fashion effect). Brass Talon Zipper, NOS 1951 US Military Cotton Webbing. This is the way it was. Further, this is the way it was in the best original G-1s, such is the quality of workmanship and detail and depth of our knowledge and experience. If you think the jackets on this site look good, be aware -- they're much better looking in the flesh (hide?)! But observe even in the shots above the seam definition, stitch density and precision, the absolute symmetry of our pattern, how the jacket exudes presence unworn and unposed. Well, LOST WORLDS jackets do have a life, an identity, of their own. "I have had my new G-1 for a few weeks now and I am 105% satisfied. 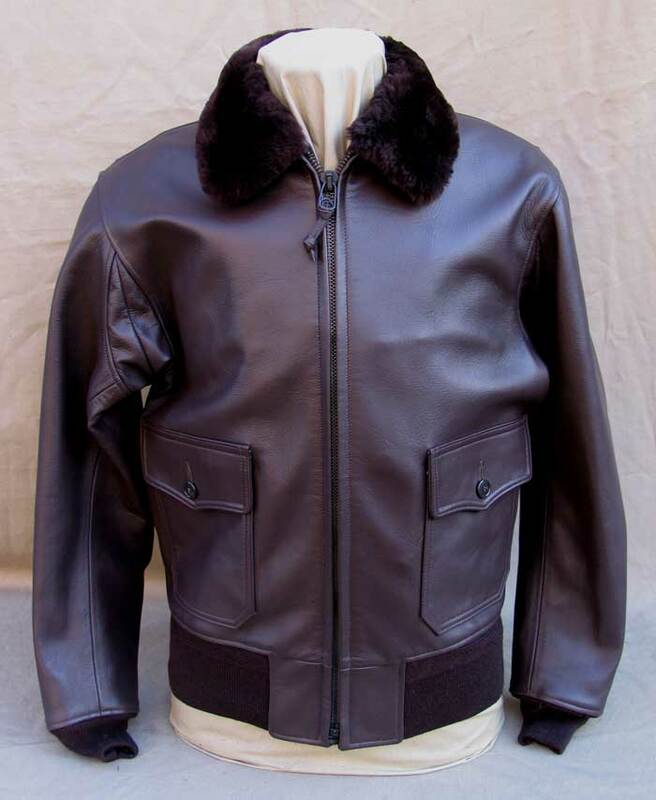 It is already more wearable and comfortable than my 1984 Issue Cowhide G-1 which I never really warmed up to. It was stiff and fit me like a sack of doorknobs. 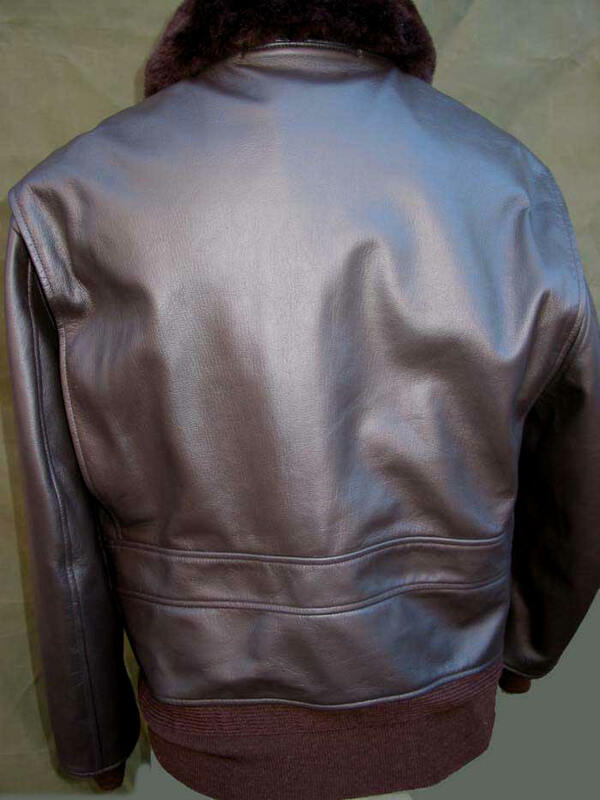 I was among the unlucky few who didn't receive a leather jacket in my original issue. Near the end of my first squadron tour, the Navy decided. (Hon. 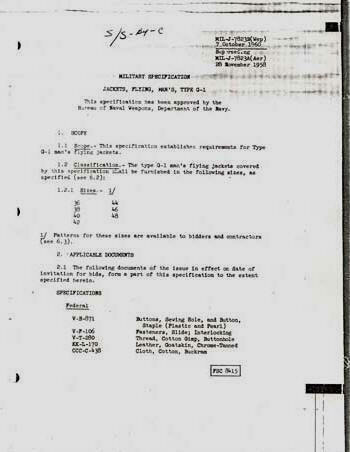 John Lehman, SECNAV) that the Navy should never have dropped the G-1. By that time I had open-purchased one from one of your competitors, as well as a 70's issue G-1 from a surplus store. 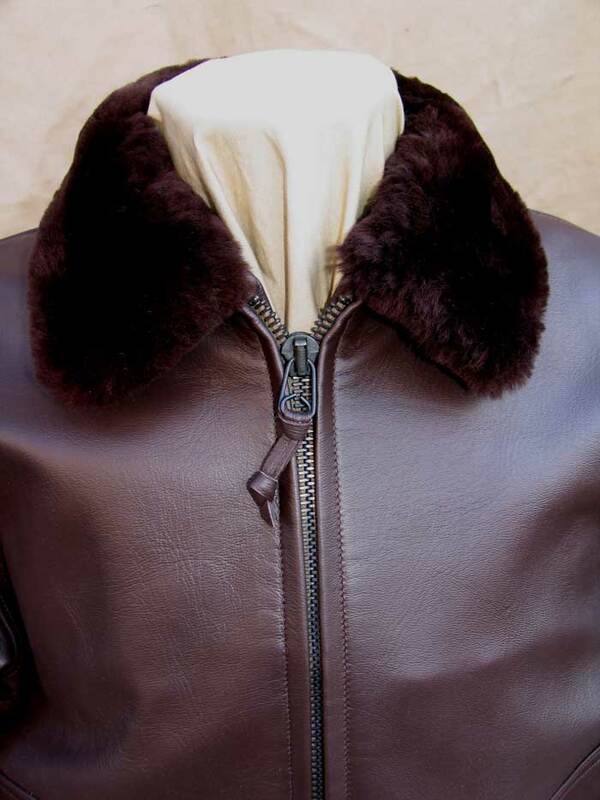 I wore my brand X jacket with pride, as it was goatskin and mouton, but it does not begin to compare to yours. The size is right on. and the workmanship is marvelous."